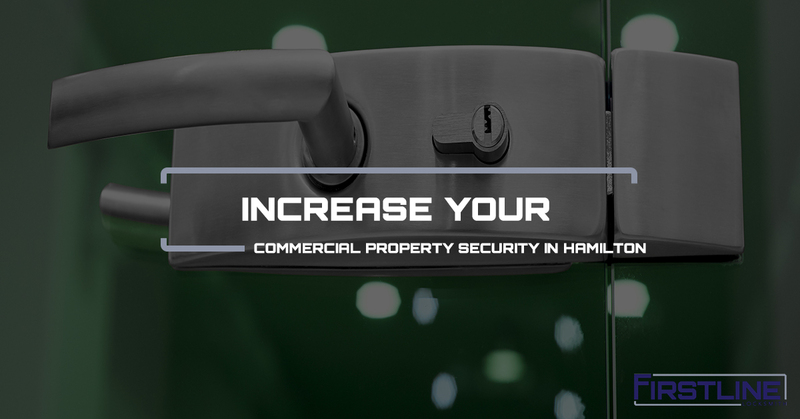 The security of a commercial business is often overlooked, since the business owner tends to focus more on running the business than making sure the doors lock and information is protected. We understand. The most important part of any business is to make a profit, stay afloat, and continue delivering excellent service and top quality products to your customers. Do you have security card access? What kind of door locks do you have? How often do you conduct a security audit? However, Our experts at Firstline Locksmith believe it’s imperative you secure your business, both internally and externally, to stay in business for your customers. We get it, because we’re doing it. We’ve served companies like Wal-Mart, Citibank, and Rite Aid with their security needs. If you’re a commercial business in need of locksmith services, give us a call today! Do you know your office’s weak points? If not, it’s time you assess potential threats to your office’s security to ensure the safety of your employees and the promise you made to your customers. There are two types of office security threats: interior and exterior. We’ll discuss both below. Lock Security: A commercial lock is used similarly to a residential lock. The major difference is in the grade of protection the lock provides. When you’re considering how vulnerable your business lock may be, check the brand, type, and age of the lock. You want a moderate to heavy-grade lock that’s relatively new. Consider the use of the lock. Frequent use a lock could wear on its function and be susceptible to tampering. Equipment Security: How do you secure your equipment? In some cases, commercial businesses store their equipment outside their office space. It’s common for companies to rely on the weight of the equipment or the absence of a key to keep theft at bay, but it’s not that simple. It’s important to consider a complex fence, locks, and various other security measures like chains, alarms, and cameras to protect your business assets. Perimeter Security: Your first line of defense when it comes to office or building protection is your perimeter security. A fence, camera system, or both can do wonders to increase the security of any commercial business. Most business owners who do not consider perimeter security a priority tend to experience more theft than companies that do implement perimeter security measures. Lighting: It’s been reported that businesses with exterior lighting are targeted less for theft. Spotlights on equipment, gates, entrances, and more can deter those who may consider targeting your business. Negligence: When a current security system or process is not properly maintained or followed, it creates opportunity for theft. Smaller businesses that do incorporate security measures have an easier time dealing with negligence, since the security team or technology is doing less work. however, the medium-to-large sized companies will need to stay on top of their security protocol to ensure the safety of the employees and the business. Employee Insubordination: Most business owners don’t want to talk about the potential of one of their employees taking action to intentionally hurt the company, but it is a possibility. Frankly, your employees will have access to your business more than anyone else. That being said, it’s important to take steps to secure sensitive information and protect your assets. Verification: Implementing some kind of check-in and check-out employee and guest verification process will help secure your business. Something as simple as digital cards to scan in and out of the building or property will help you log who was at your business and for how long. Security Maintenance and Training: If you implement any kind of security measures for your business, it’s important to keep up with the initial set up. Security is not a one and done situation. It involves routine maintenance and evaluation to ensure your business and employees are protected. Now that you’re aware of how your business could be vulnerable, it’s time to consider how you can fix your commercial business security threats. After serving the Hamilton and greater New Jersey area for 25 years, Firstline Locksmith knows what it takes to deliver excellent customer service and top-quality locksmith expertise. If your business is in need of door locks, safes, and more, we can help. Give us a call today to get started on your company’s locksmith needs!